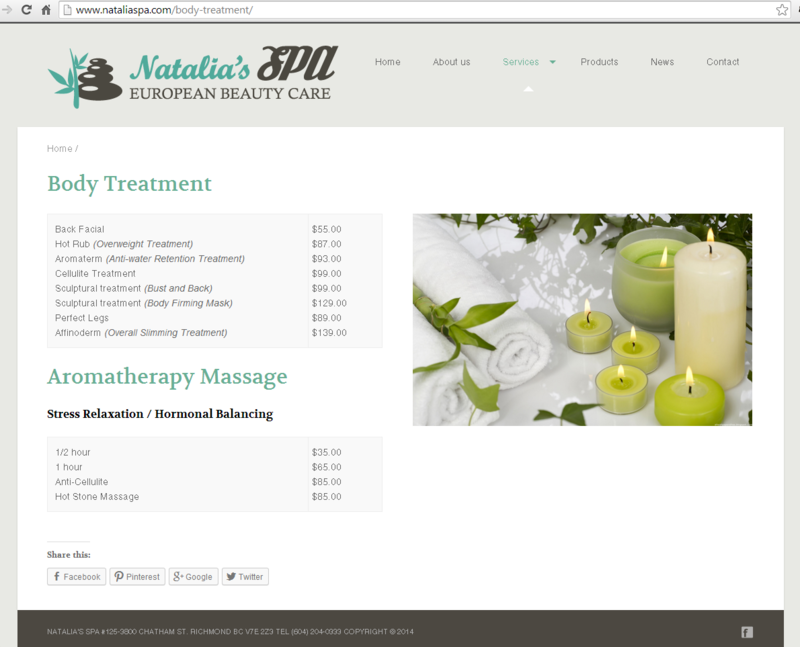 Katrina’s Design has partnered with Natalia’s SPA for several projects, including Logo, Website re-design and Facebook page set up. 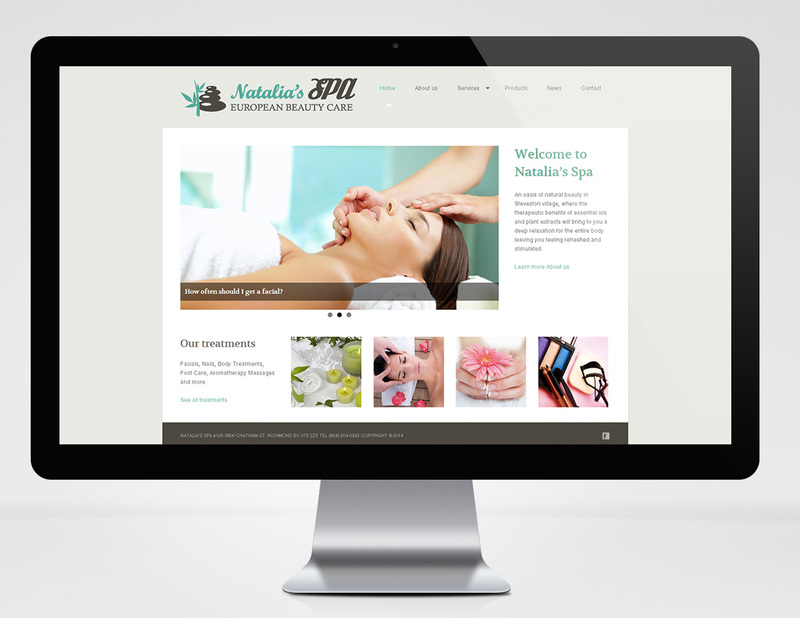 Natalia’s Spa is locally-owned and -operated salon and spa in Steveston village in Richmond, British Columbia. Natalia’s Spa is your full service salon and spa that includes facials, pedicures, manicures, waxing, makeup, and aromatherapy massage.